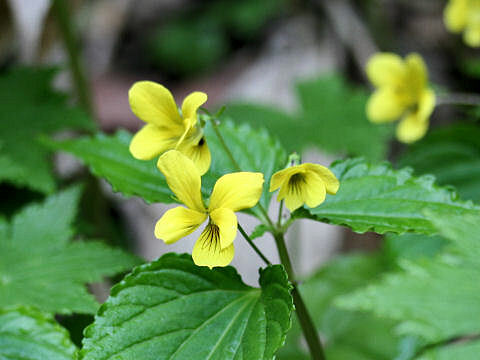 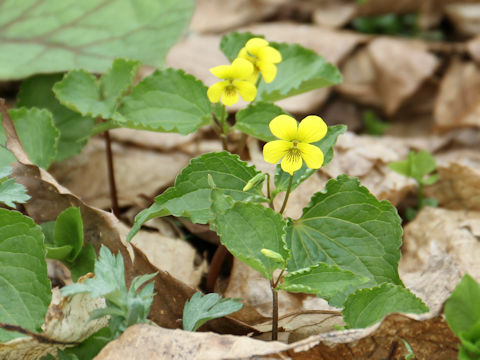 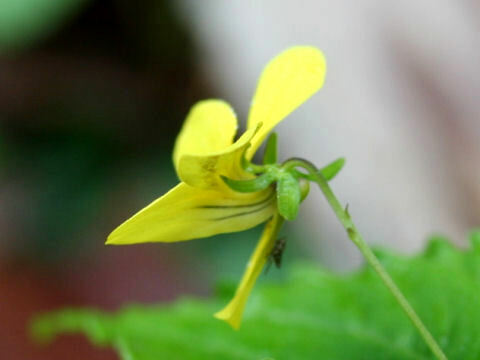 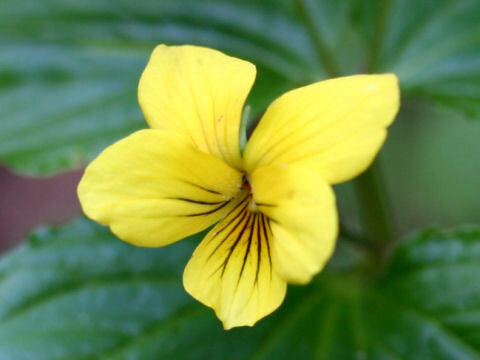 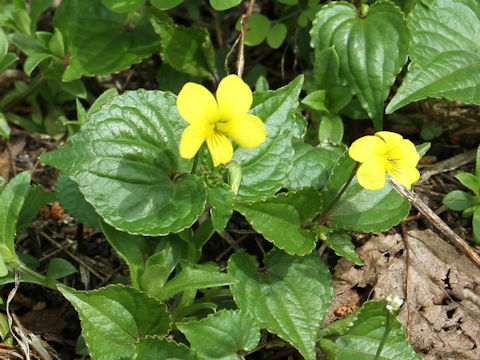 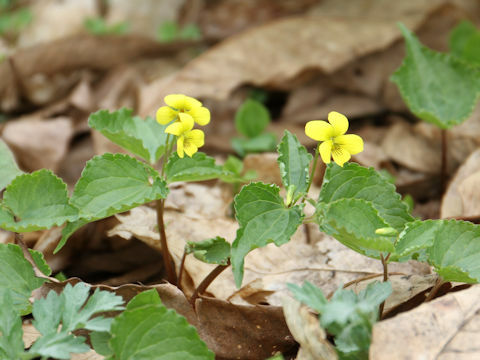 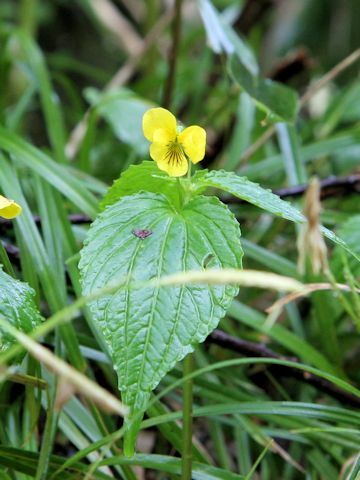 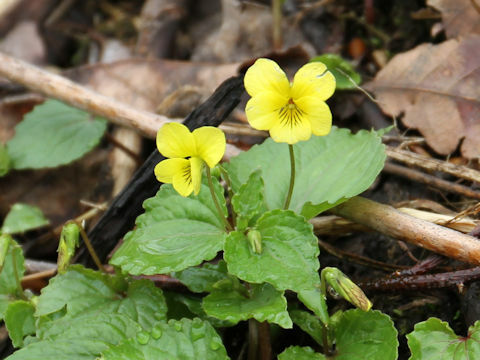 "Ooba-kisumire" (Viola brevistipulata) belongs to the Violaceae (the Viola family). 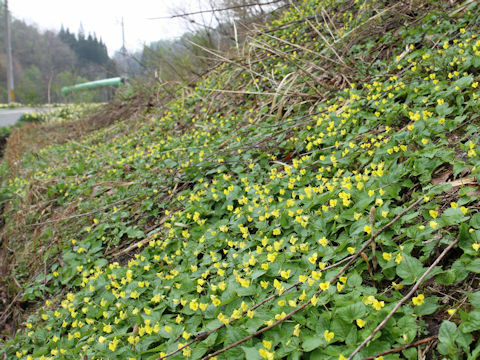 It is a perennial herb that is distributed northward from Chugoku district of Honshu to Hokkaido of Japan and north-east China. 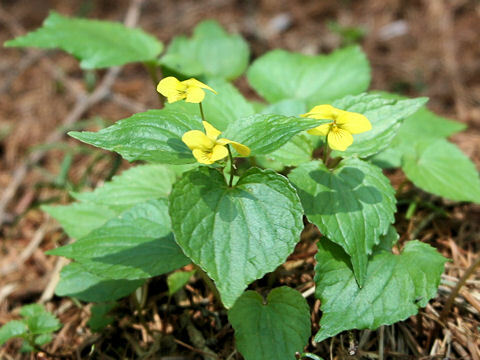 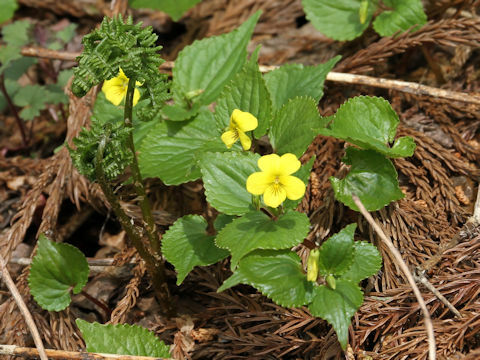 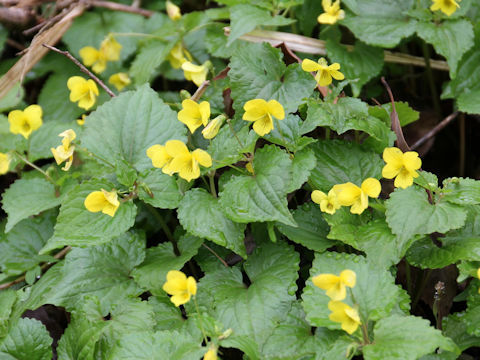 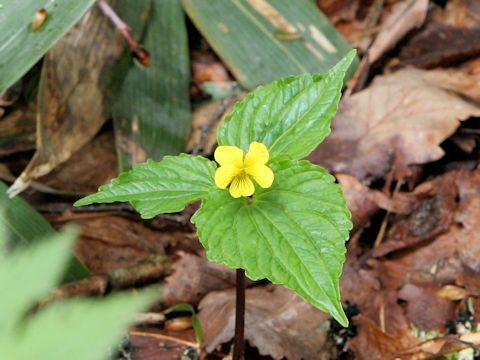 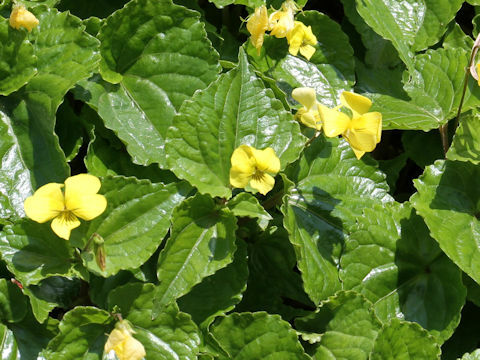 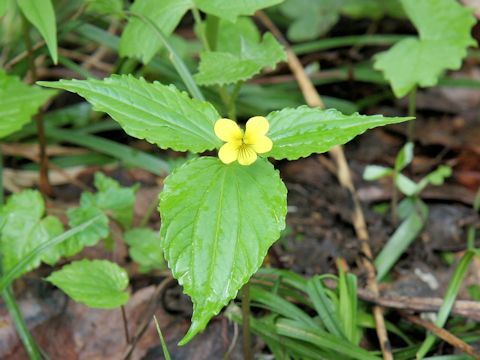 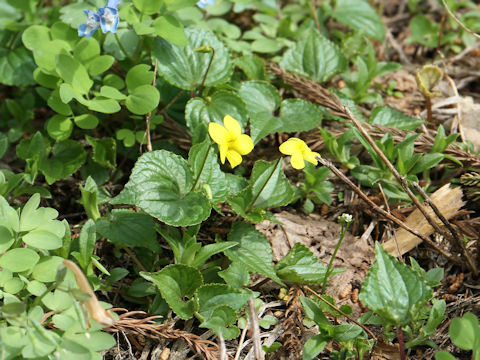 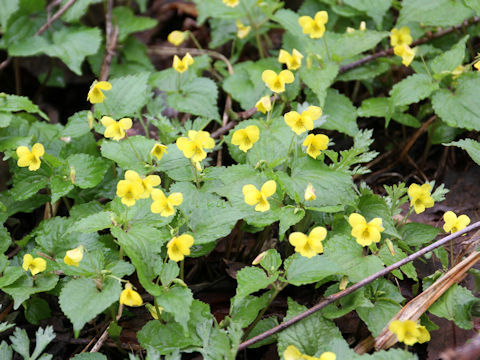 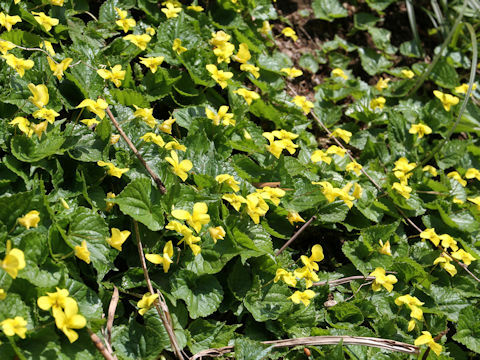 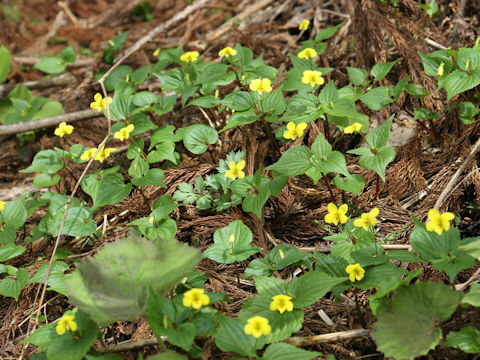 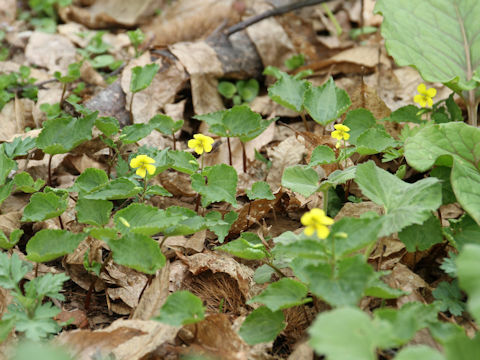 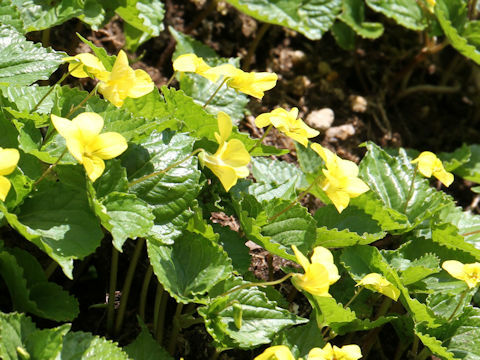 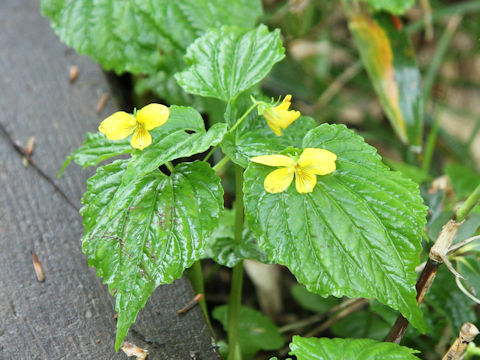 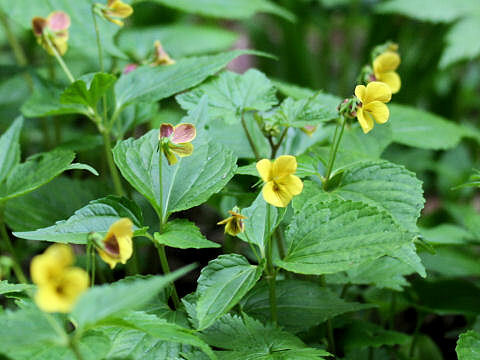 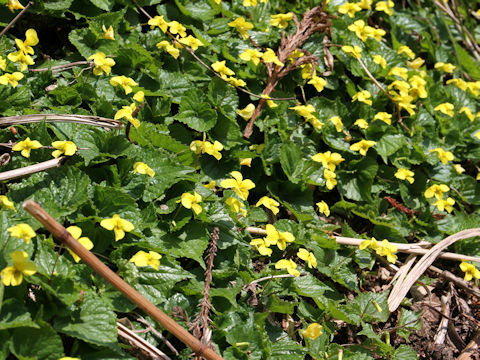 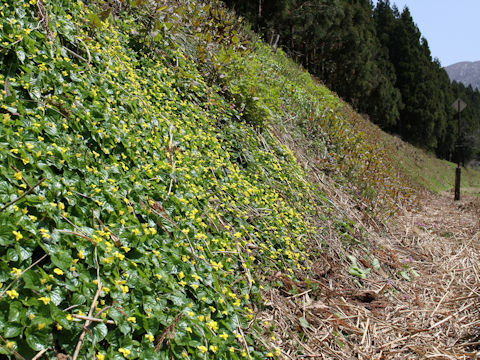 This herb grows in mountains of the Japan Sea Side and can reach 5-20 cm in height. 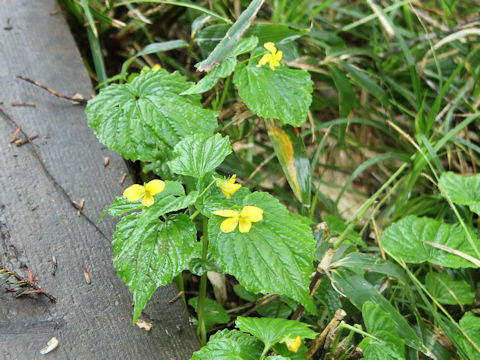 The leaves are cordate with concave veins. 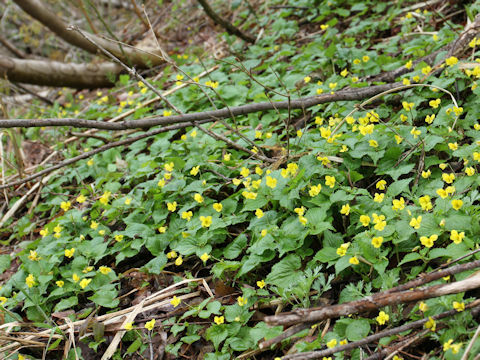 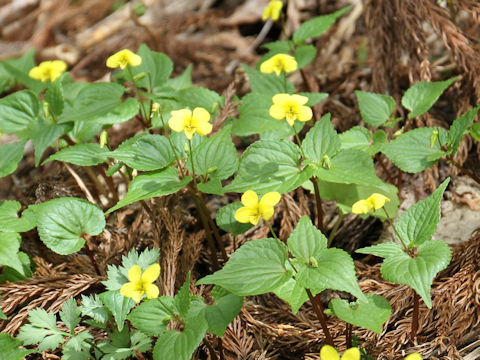 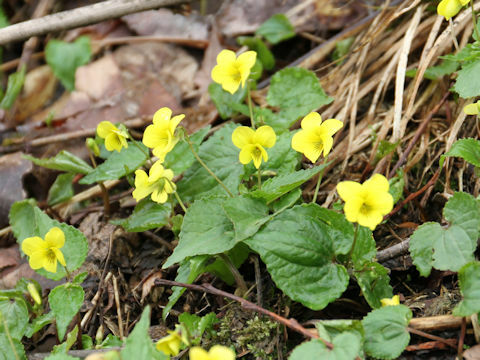 The yellow flowers with short spurs come in May to July.